The ever-expanding DC Universe on The CW just got a little bigger. Relative newcomer Ciara Renee has been cast as Kendra Saunders, aka Hawkgirl, in the still-unnamed Flarrow spinoff that will also star Brandon Routh and Caity Lotz from Arrow and Victor Garber and Wentworth Miller from The Flash. What’s unmistakable about this casting, though, is the fact that Hollywood producers have once again gone “ethnic” when casting a traditionally redheaded character from the comics. So I have to ask, has the pendulum swung too far? 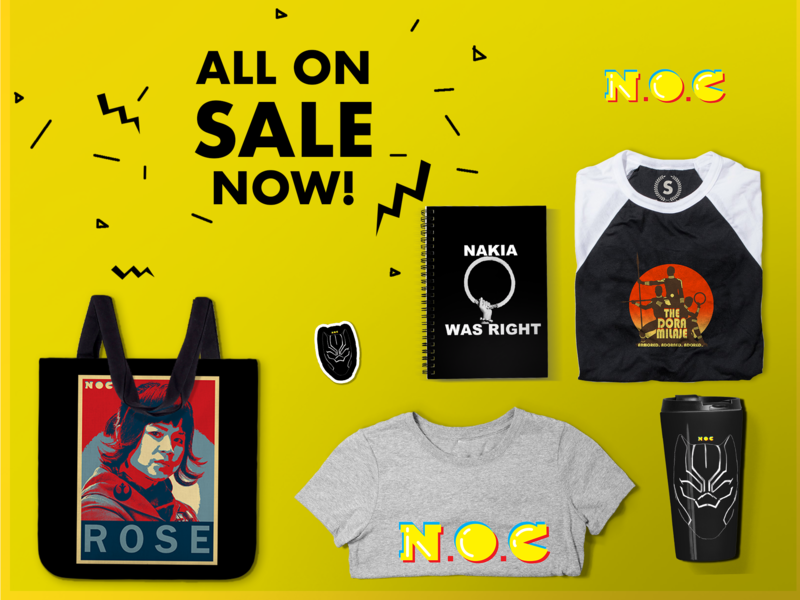 Is this too much of a good thing? 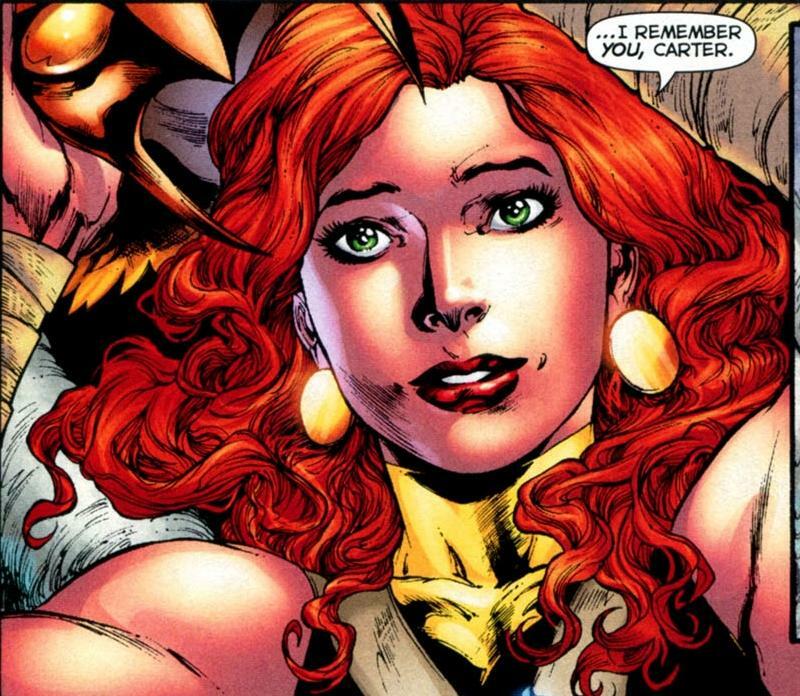 As you can see, Hawkgirl has always been depicted as a redhead in the comics. Though the Earth-2 version of Hawkgirl in The New 52 is portrayed as a woman of color, most artists still draw her with red hair — and sometimes, depending on the artist, with Caucasian features. Kendra Saunders isn’t the first orange-haired comic book character to be racebent in a live action adaptation. Hell, she isn’t even the first DC Comics redhead to be cross-racially cast in a Greg Berlanti production! Back in early 2014, when Candice Patton was first cast as Iris West on The Flash, everyone cheered. We even proclaimed it as the most diverse superhero show on TV. Little did we know at the time that we were headed down a slippery slope of the erasure of an entire category of people on television. Making the West family African American on The Flash will also have the domino effect of making Wally West — the future Kid Flash, heir to Barry’s mantle, and iconic redhead — another black character as well! Then back in January, it was revealed that Mehcad Brooks would be playing Jimmy Olsen on Berlanti’s Supergirl series for CBS. You don’t get more iconic than Superman’s best pal, Jimmy Olsen! Clearly, this is a pattern that can no longer be ignored. Instead of opening the field for actors of any race to compete for any role in a hair color-blind manner, the roles in these comic book adaptations have all been designated as “ethnic.” This means roles that would normally go to orange-haired Caucasian actors are now completely off-limits to them. Why is Hollywood only considering non-Caucasian actors for these red headed comic book roles? And it isn’t limited to superhero comics, either. 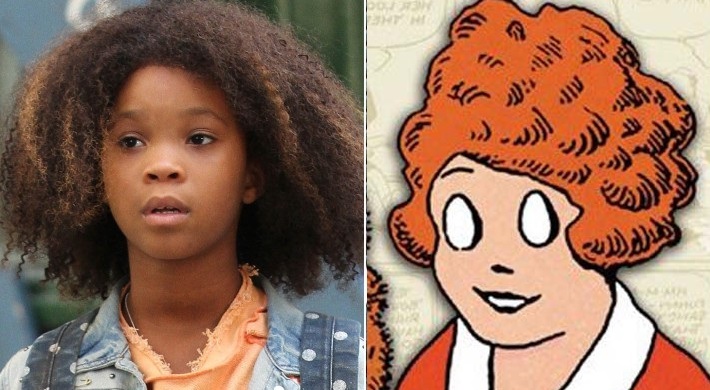 Last December, Sony Pictures released a new version of Annie — based on the Harold Gray comic strip, Little Orpan Annie. But instead of opening up opportunities for folks who could use the exposure — like Jessica Chastain or Emma Stone, for example — they cast Quvenzhané Wallis instead. I mean, what has she accomplished anyway?!? Maybe it’s just a passing fad, but it’s hard not to notice a pattern here. Canon is no longer sacred. I guess if there’s an iconic ginger character in pop culture, then chances are a person of color will be cast in the live action adaptation. Up and coming struggling actors like Amy Adams and Rupert Grint need not apply! What’s next? An Asian American as a white martial arts superhero?!?! How would that even be possible? 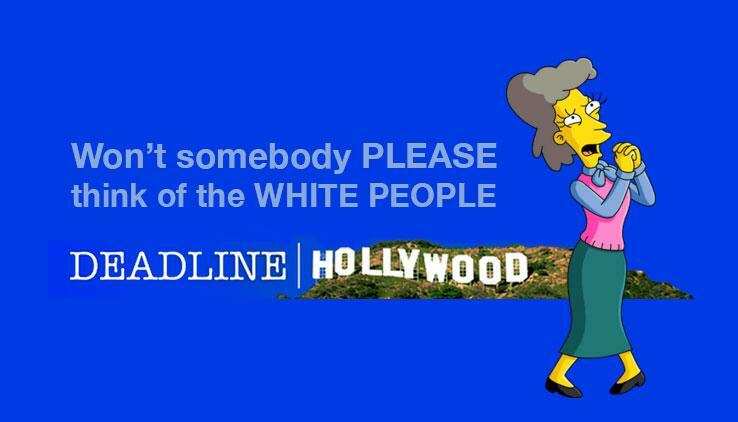 Man, these ethnics will never be satisfied until they run all of Hollywood and ruin all of our redheaded comic book icons. Ahaahahahaha this is priceless – well done! Thanks. I have a feeling some folks might have missed the point of the whole thing. Well, let’s just say that it was posted on April 1 for a reason. It’s really sad when you can’t tell whether or not something is satirical. Has online discourse gotten that bad? Well, actually, you got your Hawkgirl’s mixed up. Shayera Hol is the red headed Hawkgirl from another planet and voiced by the hispanic Maria Canals in JLU. For the CW show, they cast Renee as Kendra Saunders who in the comics is Hispanic, has short brown hair and has an origin involving reincarnation. For the Nu 52, she has much darker skin and long orange dreadlocks but I don’t follow the Earth 2 so I don’t know if her origin is any different. Isn’t Hawkgirl supposed have reincarnated several times from ancient Egypt? I don’t find this casting that surprising. I’m more concerned with what kind of effects they’ll use for the wings. Hawkman’s appearance in Smallville looked cheap. I plan in the future to do a Hawkgirl cosplay… I hope she can pull off all of Hawkgirl’s awesome! Good job integrating an ethnic mixture of iconic superheroes. You know, this country wasn’t built solely by European Americans. A huge deal of it was built by immigrants of other countries and ethnicities. Therefore, the symbolism of superheroes should have equal representation. Way to go Hispanic Hawkgirl! Way to go Black Luke Skyywalker. It’s time that the true depiction of American History is revealed. Maybe CW can find a way to write Apache Chief into the storyline! WAY TO GO!! !